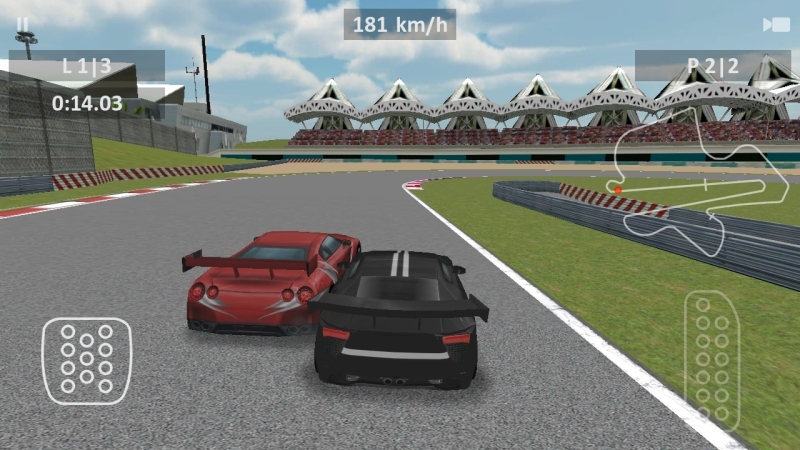 Drive fast cars on a race track, overtake your opponent. 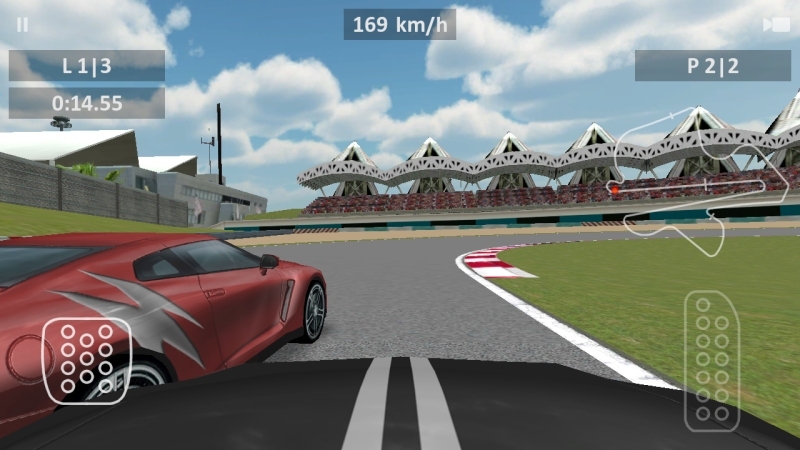 In this racing game the following features are implemented: * 500-hp sports car driving experience. 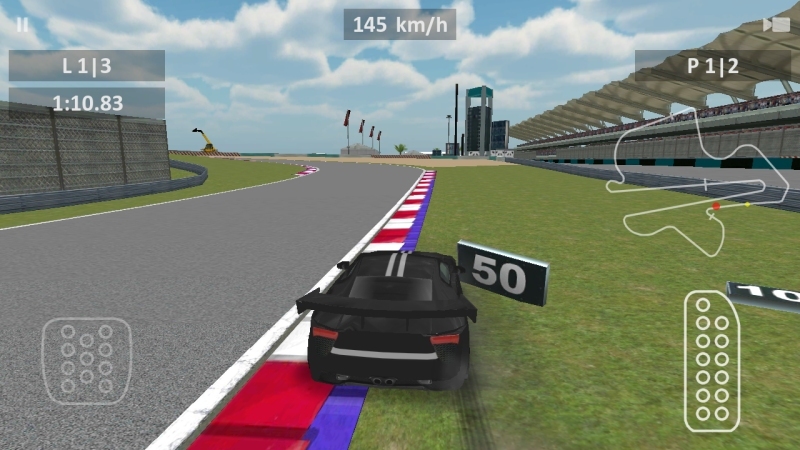 * Realistic physics for asphalt, grass and sand coverage types. * High detailed 3D graphics. 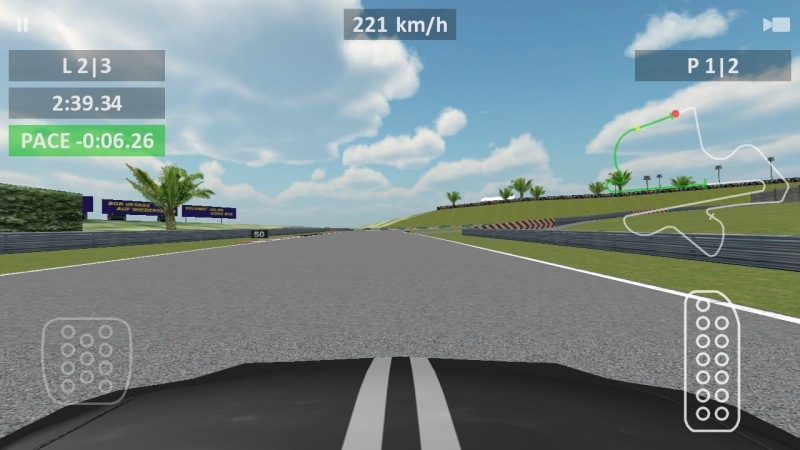 * Switchable brake and steer assistance, switching off via options for realistic sports car driving simulation. * Controls via accelerometer and/or touch screen. * Tournament and training modes. * Car damages. * High and low difficulty modes to adjust computer opponent. * Licensed music track and authentic sound effects. * Optimization for wide range of devices and screen resolutions. 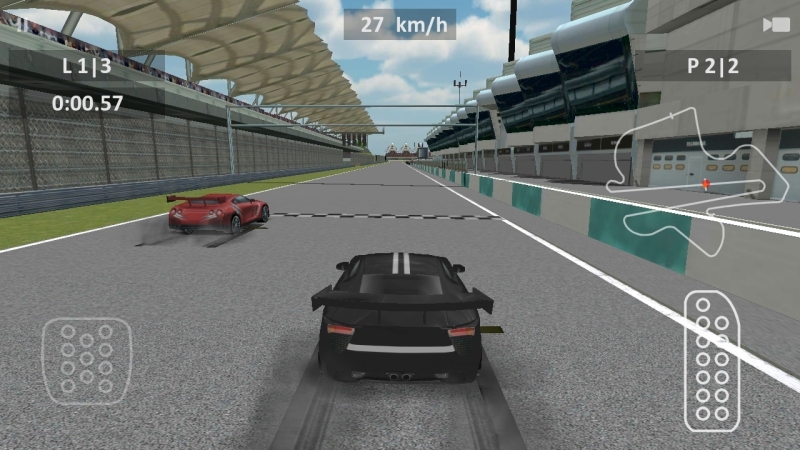 More cars and tracks will be available soon!